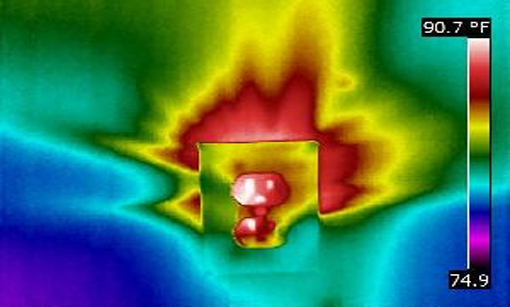 Infrared Thermography is a proven diagnostic technique recommended by the US Department of Energy for identifying areas of heat loss. 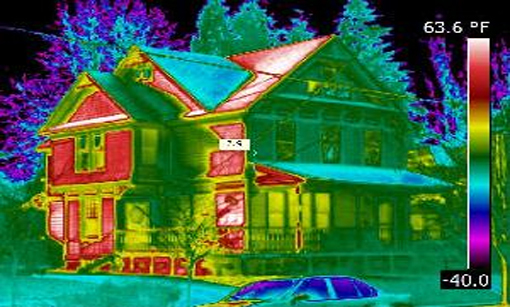 Considering your heating and cooling load can be up to 50% of your actual energy bill, a thermal scan of your home can identify where those wasted dollars are going-no matter what type of heating or cooling system you have. An EnergyScanIR™ Survey of your home is just plain smart and you can play your part in the Green Movement. Your reduced utility consumption will reduce greenhouse gas emissions as well. Our enhanced survey is a more detailed analysis of your home with the inclusion of a Blower Door Fan Test on your home. 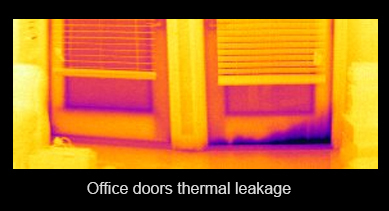 A Blower door is used in conjunction with an infrared camera to help further identify your leaky areas and help you to not only see your insulation deficiencies but as well as the smallest of air leaks. According to the U.S. Department of Energy, you can reduce your heating and cooling costs by 10% by simply reducing the air leaks in your home. We can provide this comprehensive service for only 30% more as part of an infrared energy survey.